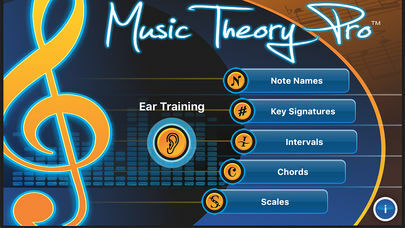 Music Theory Pro is a complete ear training for music students and top-musicians who whats to get a serious master theory about chords, intervals, key signatures and note naming. Top musicians practice....a lot. 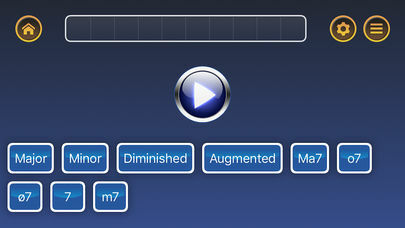 If you are serious about mastering theory and ear training, this app is designed to make practicing fun! You will be presented with a note, key signature, interval, chord, scale, or tempo. Your challenge is to identify what you see or hear as quickly as possible to earn high scores and beat other people who are playing around the world. If you prefer, you can simply play on your own and you'll never be forced to post your scores. Whether you’ve just started learning music, or are looking for something challenging, MTP has what you need. Ear Training Chords– inversions, open voicings Ear Training Scales – Modes, Western Scales, Blues, Whole Tone, Pentatonic, etc. Music Theory Pro is also available for apple computers in the mac app store. With every activity and exercise you can alter the challenge level by turning the harder answers off, and working on the basics or by flipping them all on for maximum difficulty. See what others think about this amazing app! 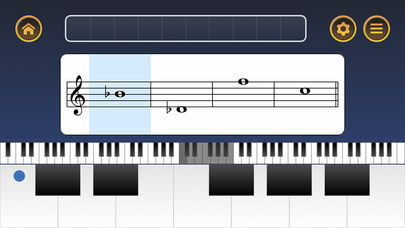 Users who are just learning music will be able to practice naming notes on the piano and on the staff. The ear training section provides many challenges for the more advanced student. It takes a sharp ear to identify altered dominant chords and modal scales quickly. For jazz musicians we’ve included the modes from the melodic minor scale and all kinds of extended chords. There is even a tempo quiz to identify beats per minute by assigning a number to a click track. Various exercises propel you to higher scores, which you can post to compete for top ratings. Who will be #1 in the world this month? Could be you! 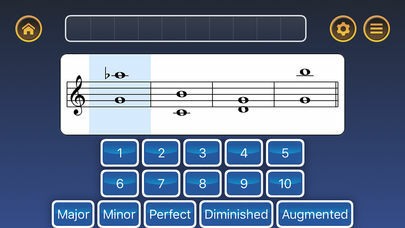 Download Music Theory Pro and start becoming a better musician today!